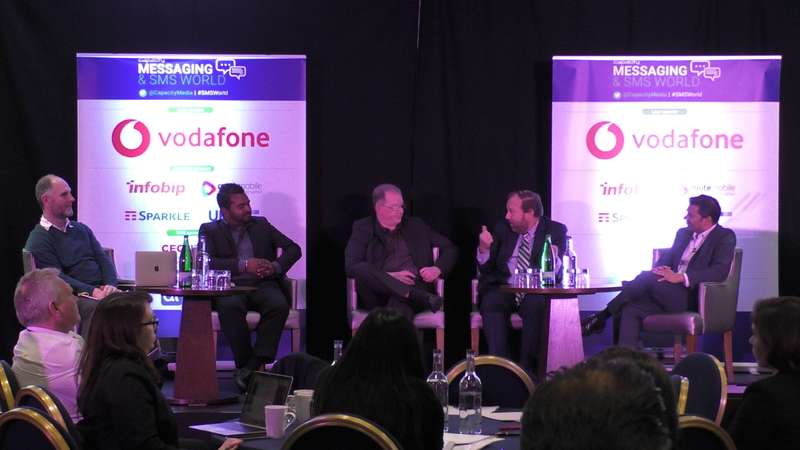 The world’s A2P messaging community gathered in London last week to discuss growing the market and cutting out malpractice. MEF members led the conversation. Here are the highlights. There was a nice treat in store for any visitor to last week’s Messaging & SMS World 2018: a bird’s eye view of the Tower of London. One of the world’s most historic prisons, right there on the doorstep. Inside the conference, the talk was also of crime and punishment, but of a much more contemporary kind. Specifically, delegates were asking: what can we do about A2P messaging fraud? About spam, SIM farms and SMiShing? And on day one of the show, it was Mobile Ecosystem Forum that led the debate. The timing was appropriate, given that MEF had just unveiled two important projects designed to take the fight to the fraudsters and improve awareness of the issue. 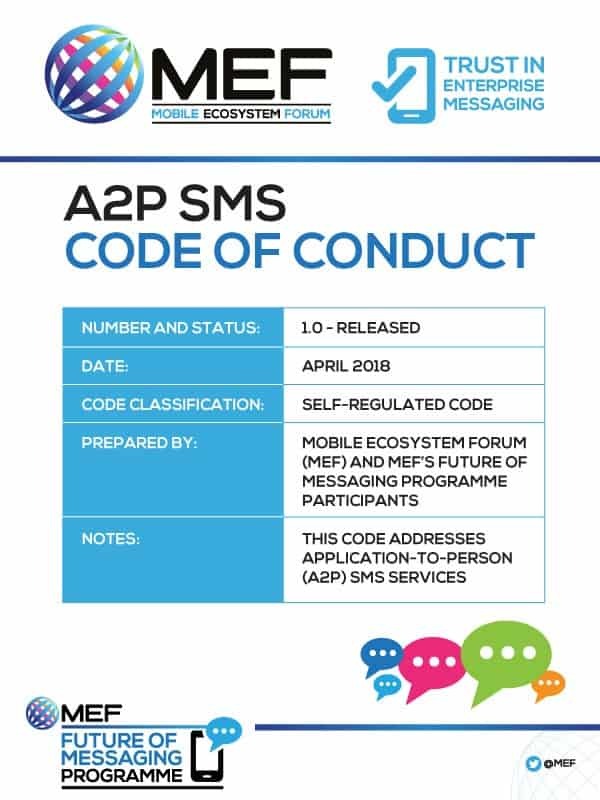 Gabriela Fernandes, Future of Messaging Programme Manager for MEF, kicked off the afternoon by introducing the first of them: the SMS SenderID Protection Registry. This UK-based initiative was developed in a series of industry workshops to combat SMS-based phishing attacks. It lets merchants register and protect the message headers they use in SMS communications to consumers. It’s in collaboration with with Mobile UK in a cross-network initiative with all four UK operators – EE/BT, O2, Three and Vodafone. A trial of the Registry will start with the banking industry and UK government agencies in early 2019. She was followed on stage by Ben Bannister, director of mobility and collaboration services at Tata Communications. Bannister outlined the key findings of the second announcement from MEF at #MSW2018: the A2P Monetisation Study supported by Tata. The study revealed the thoughts of more than 50 MNOs from all regions on fraud, malpractice, regulation, future monetisation and RCS. One of the study’s key insights was how much income being lost to fraud. Some MNOs believe it could be as much as 32 per cent of total A2P revenue. However, the average response said 9.4 per cent. Assuming the market to be worth $13.72 billion (source: Mobilesquared), that’s nearly $1.5 billion a year. In a panel session with MEF Members which closed the afternoon, the participants agreed that the ‘cost’ is very difficult to calculate. But they erred on the high side – mostly because of the sophistication of fraudsters. Happily, the sector is having success defending against some frauds. Ashiqur Rahman, A2P product manager of Grameenphone, revealed the dramatic improvement after his MNO introduced traffic filtering. Undoubtedly, excellent news. However, fellow panellist Ira Cohen VP, head of business development and marketing at MMD Smart, sounded a note of caution. “We built these systems to tackle fraud, but the complexity is increasing all the time,” he said. 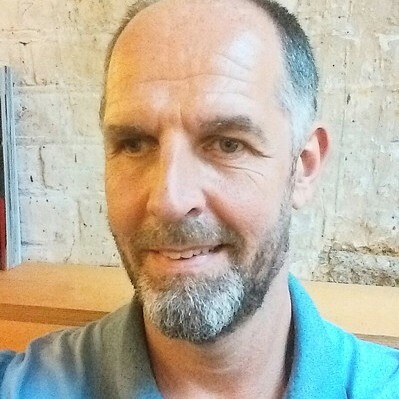 “It now includes the terminating operator layer. So, for example, in the US there are some operators that let you send messages about cannabis. But others don’t. 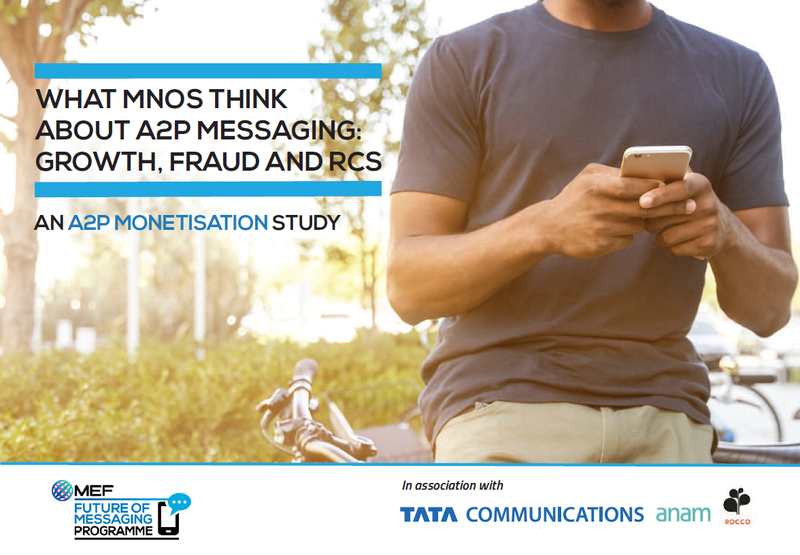 The A2P Monetisation Study in association with TATA Communications takes a snapshot of the enterprise messaging market, identifying the key drivers and barriers to growth. It reveals how MNOs view the market today and tomorrow – including an outlook for RCS. The report analyses 10 key findings and features interviews with study partners and industry experts TATA and Anam.